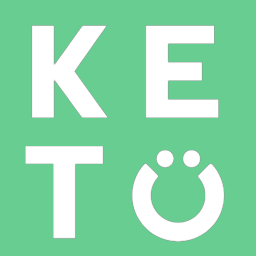 In November 2018, we reformulated our Keto Base to improve the flavor – and give you the power to mix your ketosis boosting products to better suit you! As part of this new formula, you may notice less powder in the container, this is because we’ve removed the MCTs for 5 important reasons. Customers prefer and enjoy the new, pure BHB formula better. We removed MCTs so that you have the freedom to mix in MCTs as you see fit, using MCT Powder or MCT Oil, to better suit your needs. Keto Base now has fewer calories. The new Keto Base has a better taste. Keto Base is now easier on the stomach. The removal of MCTs means Keto Base won't break your fast. Rest assured that there are still the same amount of potent ketone-boosting BHBs (you can check the label!). Enjoy the boost! Hey Chris, that's a great question.This is a hotly debated topic, but in short, the removal of MCTs allows you to stick closer to a completely fasted state by leaving you with only ketones. I'll go ahead and add that to the article above. For a fasting regimen with the goal of insulin regulation, a fasting protocol that includes fats and ketones shouldn't be disruptive. However, if fasting for benefits like autophagy, we simply don't know the impact of consuming calories from fats, so it's probably safest to avoid them and stick to a zero calorie fast if autophagy is the goal.